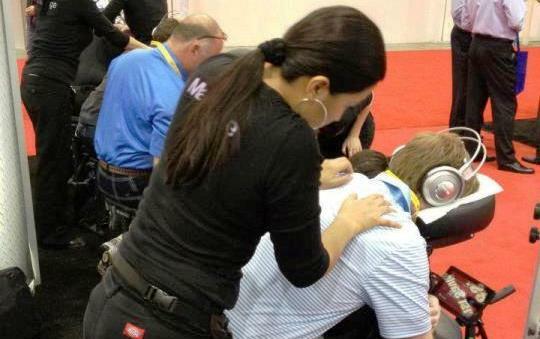 Chair massage paired with a video presentation starring your sponsor is a winning combination! Event attendees will view your sponsor’s product or service with renewed energy and interest after a chair massage with audio/video built into the chair. Audio visual messaging is a perfect solution for complex or technical items or services, and a great way to feature a new product launch.